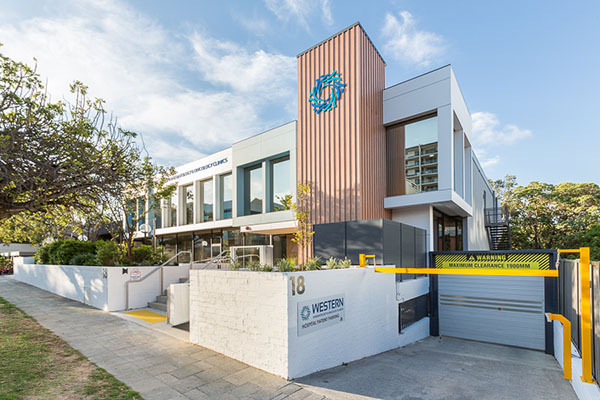 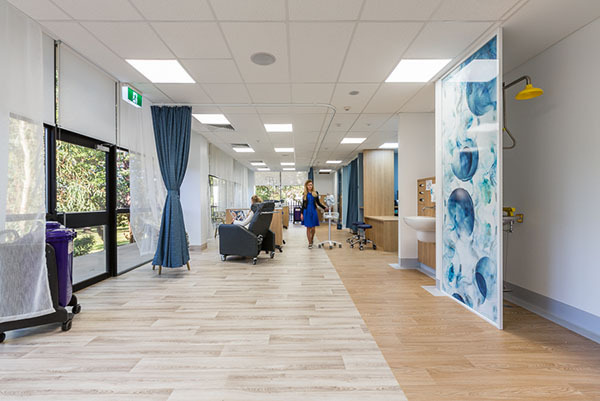 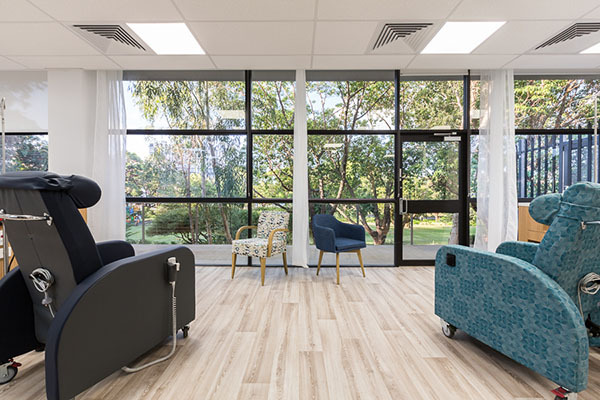 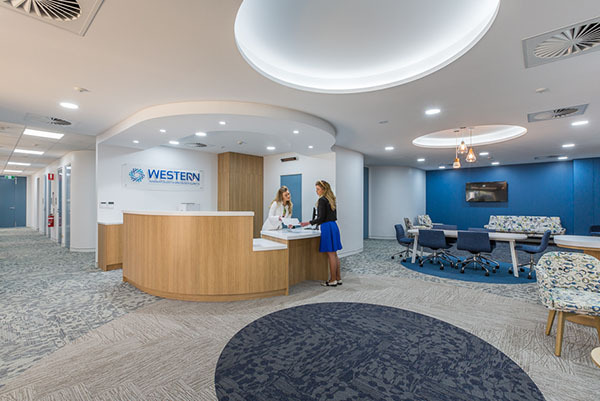 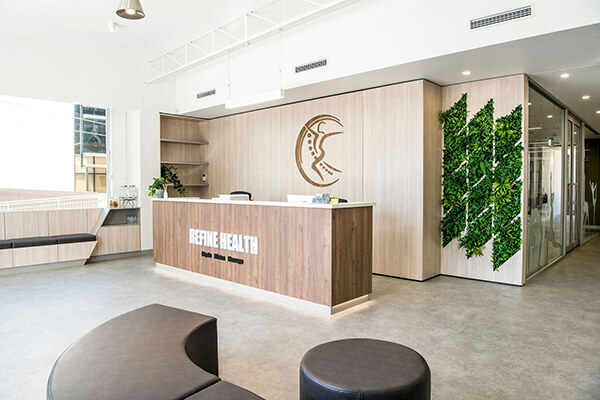 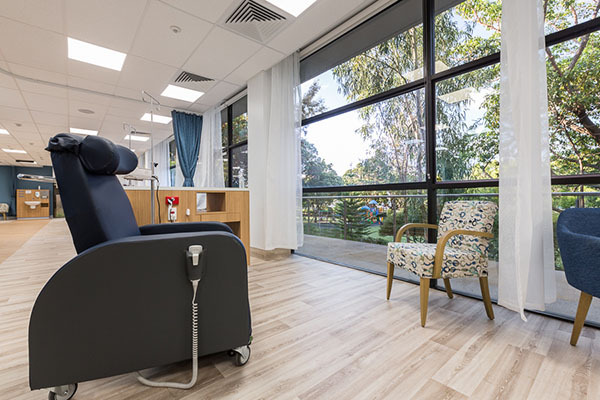 This new location for Montserrat Day Hospitals’ Western Haematology & Oncology Clinics in West Perth required Interite Healthcare Interiors to develop a concept which remained on brand, functional and welcoming. 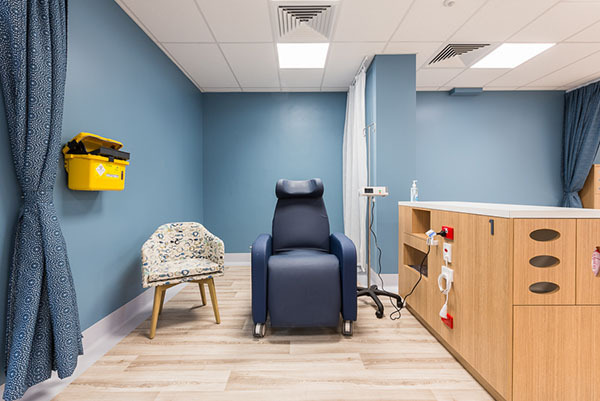 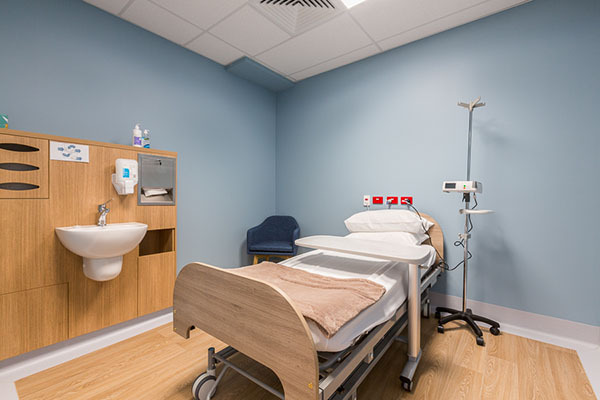 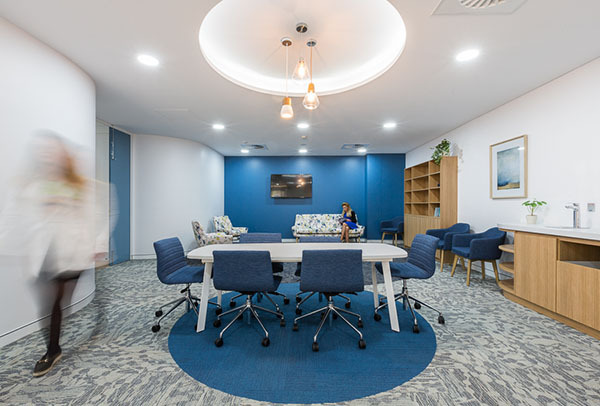 Interite Healthcare Interiors successfully delivered what is the final result of this project through the use of a select colour palette to promote cleanliness and productivity, whilst aligning to the blue hues of the Montserrat Day Hospitals branding. 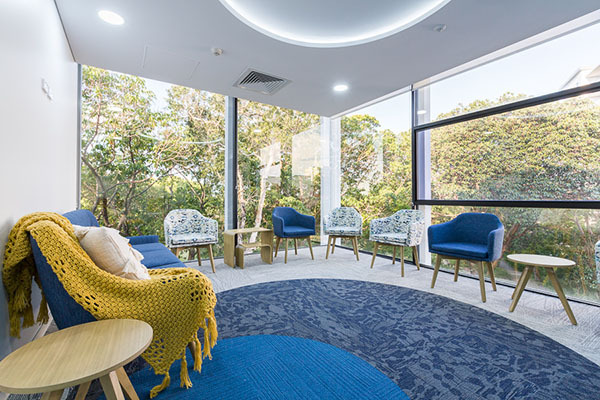 The design capitalises on the use of natural lighting and local surroundings through the implementation of floor to ceiling windows in the waiting areas and consult areas looking out to local greenery, creating a balance of natural elements and mitigating the sterile stigma in modern environments. 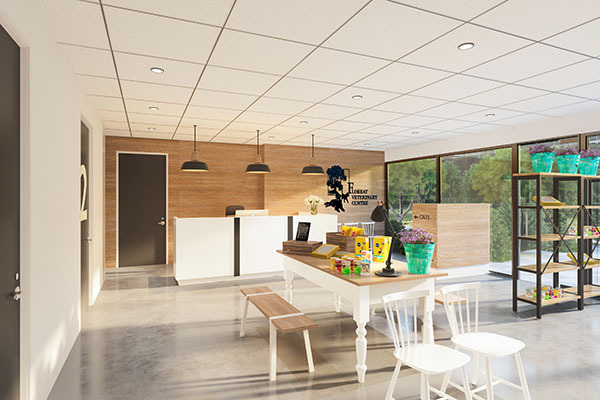 The reception area is specially designed to offer not only a welcoming appearance and positive, distinctive first impression, but also ease in accessibility with the varied counter top heights. 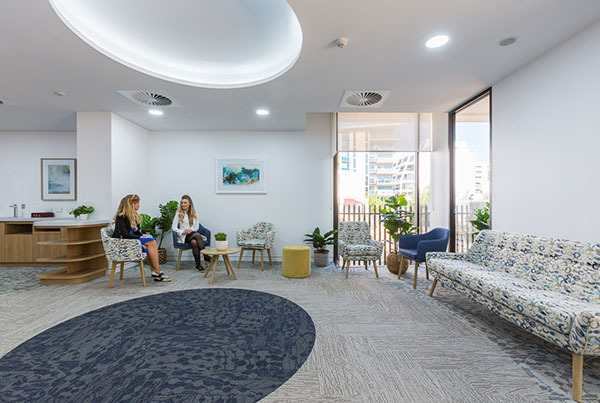 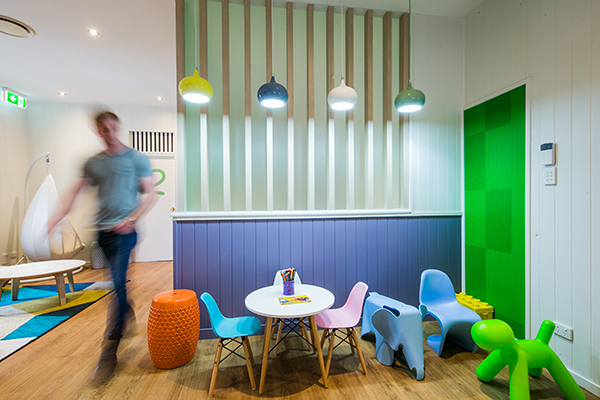 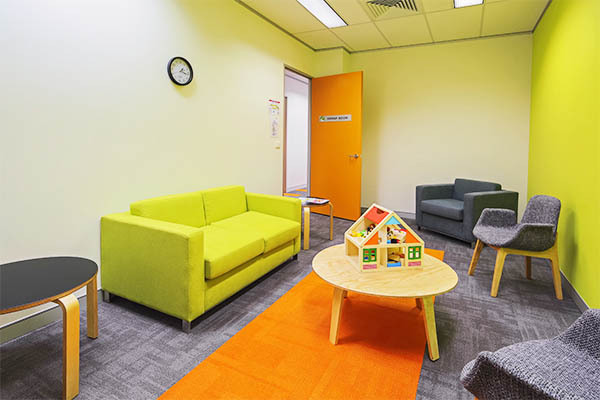 The waiting area Is arranged in a ‘café’ layout, offering clients options and assisting in comfort and positive client experiences throughout the space. 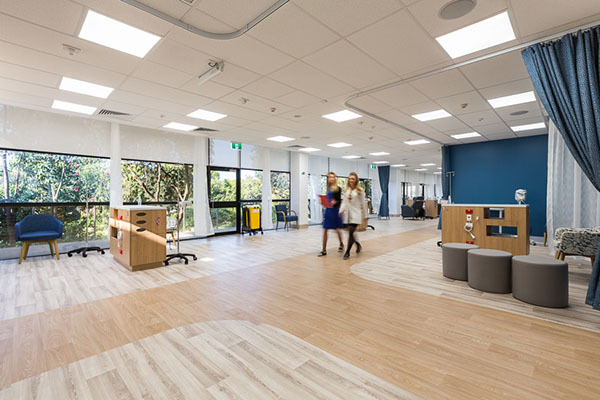 Reach out to Interite Healthcare Interiors today, and begin your journey to a better day hospital environment.